Kick off patio season right at our big family crawfish boil out on the lawn! 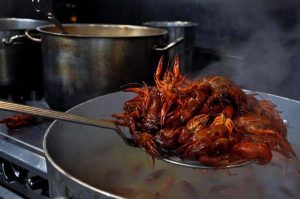 Join us out in the courtyard for live music and all you can eat crawfish, sides, and desserts – and your first hurricane cocktail free! Cocktails at 6pm, Dinner at 7pm.